Whilst some countries have a penchant for banning social networks outright, back in June, France hit the headlines for introducing a different type of social media ban. Was a great governmental firewall erected to prevent French Internet users accessing social networking sites? No. French broadcasting regulators ruled that TV and radio show hosts must not utter the words ‘Facebook’ or ‘Twitter’ unless it’s in direct relation to a specific news story involving those companies. Put simply, presenters were no longer allowed to direct the public to ‘Follow’ a story on Twitter, or invite its audience to ‘Like’ a network’s Facebook page. To many people this was merely evidence that the French love to implement pedantic rules and regulations. But in the cold light of day, was it really that ridiculous a regulation? Think about it. If News at 10 presenters attempted to guide the public towards a particular carbonated cola brand, most people would agree that this would be unacceptable. ‘Why not us?’ indeed. It’s really not practical to give a shout out to all social networks, so it makes sense to stick to Facebook and Twitter which between them have somewhere in the region of a billion registered users, give or take. But surely the basic underlying point isn’t that preposterous? Why should they give an unfair advantage to two companies that are already dominating in their respective social spaces? Of course, none of this is really the fault of Facebook or Twitter. French regulators weren’t actually banning the use of ‘Facebook’ or ‘Twitter’ specifically – they equally won’t allow ‘LinkedIn’, ‘MySpace’, ‘Bebo’ or any other social network from being name-checked. Whilst I doubt that the French ban will have any real effect on the social networks’ dominance, the sentiments behind the decision are actually solid, principled and well-meaning. The world is a much healthier place with variety. Surely nobody likes seeing multimillion dollar monopolies permeating the Web? But that is exactly what’s happening. Once upon a time, TV, radio and magazine commercials for new music would be appended with something like Now available in all good record stores. The instructions were quite clear – find yourself any record store, and exchange some cash for said album. Simple. If the store didn’t stock the record, I guess that would mean that the record store wasn’t good. Today, it’s even easier to procure music, and with digital downloads you don’t even need to leave the house. But now, we’re seeing more and more of Now available on iTunes attached to adverts. From what I gather, this is completely free advertising afforded to Apple’s online music store, simply because it has been immensely successful at what it does in both the hardware and software market. Success breeds success. 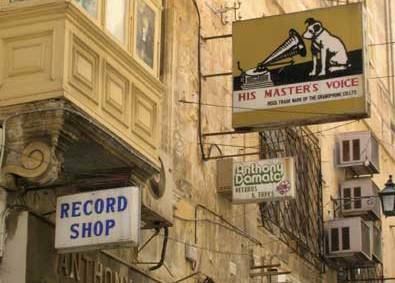 With bricks-and-mortar record stores ambling quietly into oblivion, there doesn’t seem to have been a switch to Now available in all good online music stores. Those that like good old-fashioned physical format music are covered too, with the iTunes analogy working just as well with Amazon. Now available in all good book stores was once also a common message within the advertising industry, but all too often that has been replaced by Now available on Amazon.com. Social networks only work when people use the same ones. In other words, they naturally lend themselves to being monopolized, which is one of the main reasons Facebook will continue on its upwards trajectory. It would be rather difficult, not to mention impractical, for people to communicate with their friends across different social networks, and although you can cite the likes of Bebo and Myspace as examples of social networking sites falling from grace, Facebook is past the point of no return…it’s too big to stop now. Of course, there are pockets of resistance around the world, such as in Russia, Brazil and parts of Asia where other sites rule the roost. And different social networks dominate if they serve a different purpose, as is the case with LinkedIn for business, YouTube for video and Twitter for microblogging. 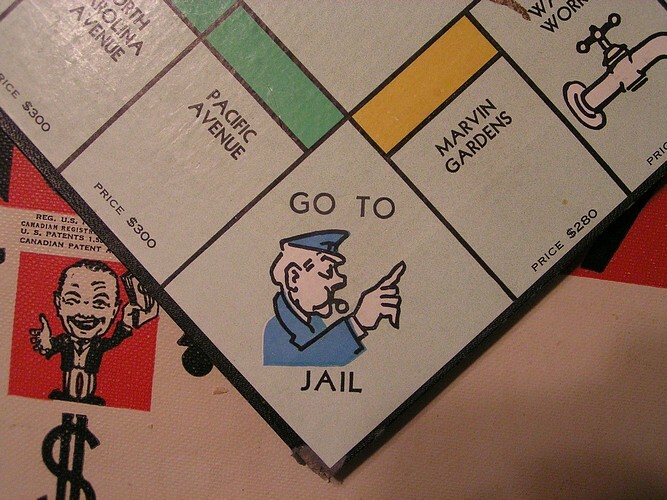 But we’re definitely seeing the monopoly effect take hold within the social sphere. Similar to Now available on iTunes, we’re now seeing Follow us on Twitter, Like us on Facebook, and Subscribe to our YouTube channel take hold of commerce. Free and willing promotion of big digital companies that ultimately feeds into, and perpetuates, the monopoly machine. Feeding into this social media monopoly is other pretty successful services in their own right, such as Spotify, that is now making it mandatory to have a Facebook account to use its service for new users. With over 800m users, Facebook holds a lot of clout, and it can quite easily stipulate what other services must do to be able tap into its global band of merry users. I very much doubt that regulations can save social media from monopolies – despite France’s best efforts – as users will typically go where all the action is taking place. Google owns search. But it has also been branching out into non-search products for a while too, buying the likes of YouTube, launching Gmail and embedding itself in businesses with a pretty comprehensive range of Apps. Any company that manages to nail the consumer and business markets is sure to be onto a winner, and Google is becoming increasingly omnipresent, whether it’s through internal developments or acquisitions. Moreover, it has transcended its noun roots and is also firmly embedded in the verb sphere, with “googling” now in common parlance. Don’t understand something? Google it. When a digital company’s name becomes a verb, you know you’ve got one mighty enterprise on your hands. 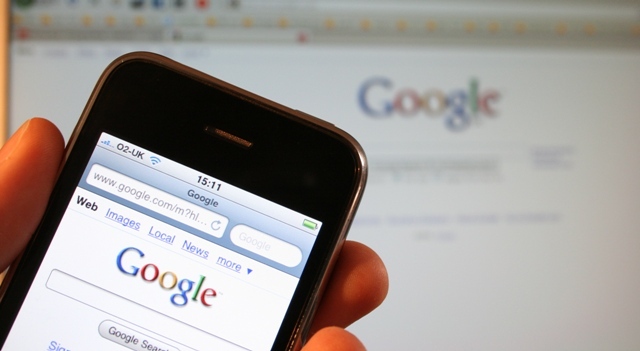 But Google has been under the spotlight for its monopolistic ways on a number of occasions over the years, with the subject hitting headlines again in recent weeks. The Internet giant stands accused of crowding out competition by favoring its own products over competitors in search results, and Google’s Executive Chairman Eric Schmidt appeared in front of a US Senate committee recently to answer questions. At the hearing he said that he had “a long conversation years ago about how not to be evil” if Google became big. “We think we have done the things that would be appropriate”, continued Schmidt. The thing is, since Google’s IPO back in 2004, it simply has to look at ways to maximize the return for its shareholders. Whilst great products that people want to use will still be a priority, its goal is to have as many zeroes on its bottom line as possible. It even cut its taxes by over $3bn in the three years leading to 2010 by some pretty cunning tax loopholes. Dutch Sandwich anyone? At the Senate hearing, Schmidt also said that he was “not aware of any unnecessary or strange boosts or biases” that favored Google. We can maybe expect that quote to be referred back to again one day, with particular focus placed on the “not aware” part. With a 90% share of the global search engine market, Google has trampled over its predecessor Yahoo!, is keeping Bing at bay with a palm-to-forehead arm’s-length maneuver, and is now focused firmly on conquering the digital world. Alongside Facebook, of course. The Internet opened up commerce, enabling bedroom businesses with little more than a networked computer and a good idea to enter the marketplace. Nobody can deny the positive effects the World Wide Web has had. It actively enables a free market, right? So why is the Web morphing into a digital Monopoly board? Facebook and Google are invading every orifice of the World Wide Web. Elsewhere, Apple is doing pretty well for itself in both the hardware and software markets, whilst Amazon is certainly up there in retail, especially on the back of its Kindle announcements this week. We haven’t even looked at the mighty Microsoft, or other digital behemoths such as eBay, both of which have massive clout and have monopolized their respective spaces for some years. The Internet isn’t a monopoly though. It’s an oligopoly consisting of multiple monopolies from different digital industries, and the reason this is happening really isn’t all that complicated. Success breeds success, something which underpins most monopolies, whether we’re talking about dominant languages, biological species or, indeed, Internet technology companies. Hegemony stems from success, and it’s certainly not unique to the Internet age. There’s a pattern emerging over time that suggests information industries are particularly prone to monopolization – or, perhaps more accurately, ‘oligopolization’. 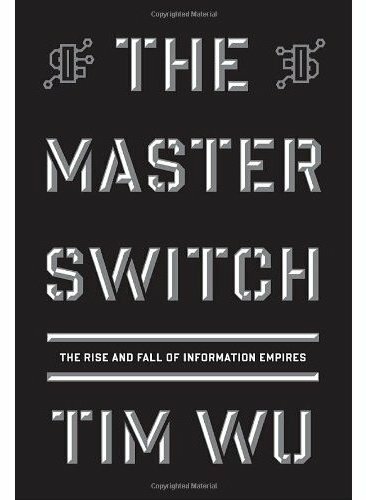 Tim Wu’s The Master Switch: The Rise and Fall of Information Empires explores that very topic, and is well worth a read. The law professor argues that AT&T was the sole telecommunication company for something like 70 years in the US, up until its court-ordered dismantling in the mid-80s. Elsewhere, Hollywood and the entertainment industry on the whole has been dominated by a handful of big companies, with mergers and acquisitions over the years making this more so. In terms of the Internet, everything suddenly becomes much more convenient for consumers. If there’s a handful of centralized places to buy books, listen to music, watch movies, chat with friends or search the Web, why is there a need for any more? Consumers don’t want to spread their money around for the sake of it, they want convenience.